Researchers at the CDC conducted a snapshot study of American adult video gamers, and found that on average, video game players have higher BMI scores, women gamers are more likely depressed and all gamers (on average) rely on the internet for social support at the expense of real world sociability. Video gamers may be older than you think. While teens still spend a lot of time engaged in video game play, researchers at the Center for Disease Control (CDC) and Emory University say that the average American adult video gamer is actually 35 years old; and if that gamer is a man, he‘s likely overweight - if it’s a she, she may well be depressed. They found that just under half of the 552 adults randomly surveyed were video game players, 45%. Men were more likely than women to report playing video games. Men who played video games reported a higher body mass index score (BMI) than men who did not play. Women who played video games scored higher on indices of depression than women who did not. All video gamers, on average, scored lower on extroversion scores (and by association, probably lower on measures of sociability and assertiveness) and both male and female video gamers reported getting more social support via the web. Past research has shown that heavy game players will often substitute game play for real world social interaction, by choice. 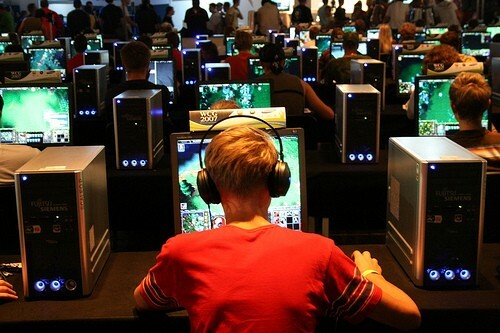 The researchers suggest that male adult gamers are likely people that have grown up through their teens and adult years engaging in sedentary game playing behaviors and that now show the higher body mass associated with a sedentary adult life style. The authors speculate that since women gamers score higher than average on indices of depression but not BMI, females game players may use video games as “self medication” for their depressive symptoms. The study researchers caution that their study is only correlational; they cannot say whether video game play in any way causes higher BMI scores in men and depressive symptoms in women, only that these traits are more commonly seen amongst the game playing population.